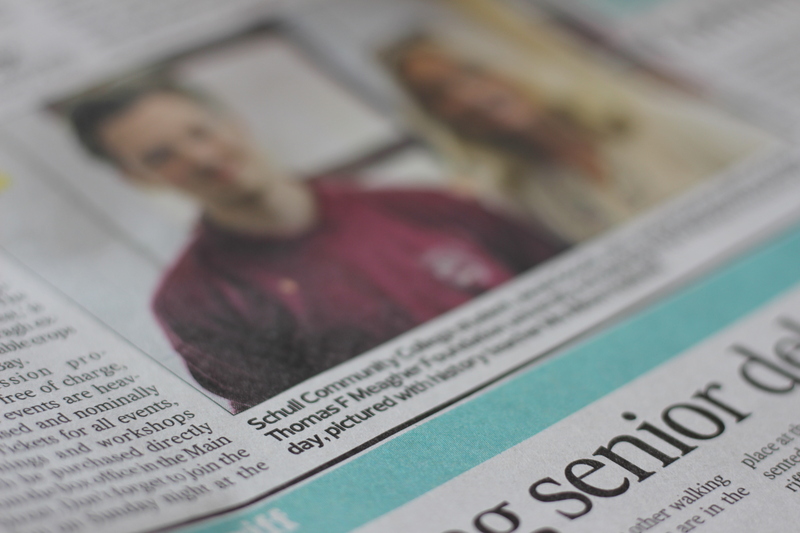 Jacob Goode, a fifth year student from Schull Community College has turned creativity into an accomplishment on a national scale. Jacob was tasked with filming his school’s preparation for Proclamation Week (March 10th-17th) and the flag raising ceremony held at the school. The competition was hosted by the Thomas F. Meagher Foundation (http://tfmfoundation.ie), an organisation which commemorates the Tricolour and its creator, Thomas F. Meagher. The foundation promotes pride, respect and peace for the national flag. 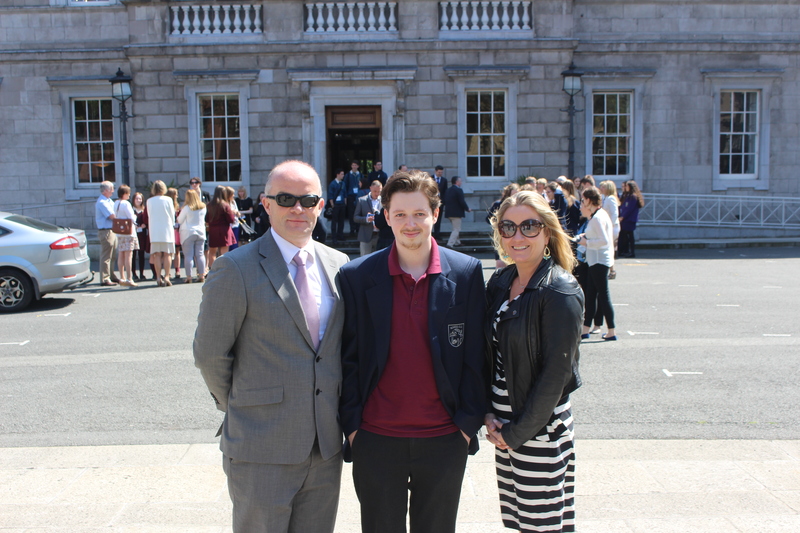 By filming and editing his school’s preparation for Proclamation Week, and its flag raising ceremony on March 15th, Jacob was awarded a €3,000 scholarship, one of seven recipients in the country. The video summarised the school’s celebration in a concise 90 second video. 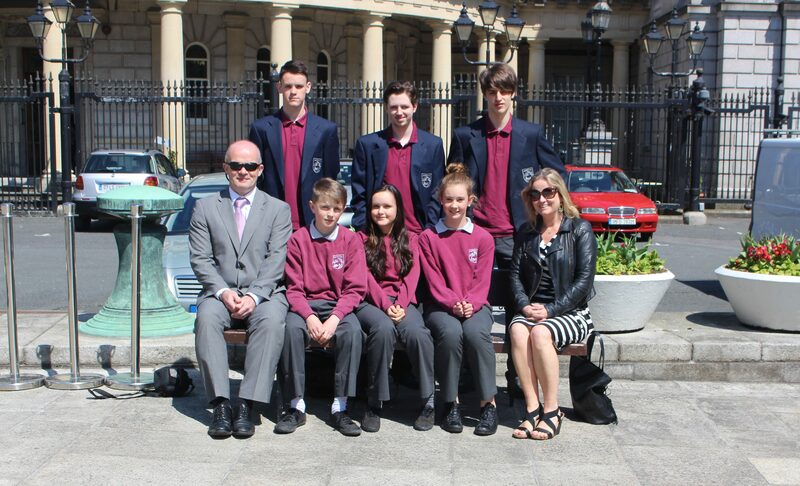 To celebrate the winning entries, the Thomas F. Meagher Foundation hosted a dinner in Leinster House, followed by a tour of the Dáil and the Seanad. 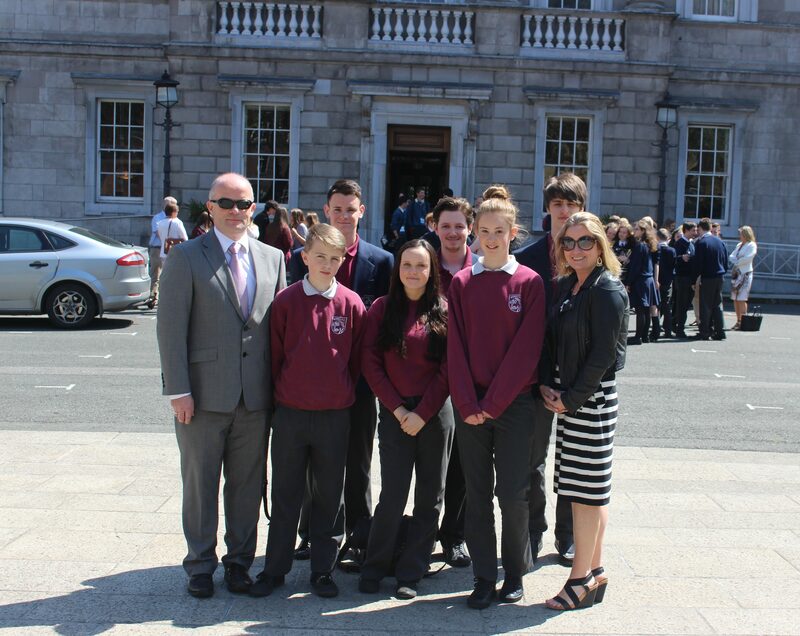 Accompanied by some fellow students, his History teacher, Ms Alison Hodnett, Principal, Mr Brendan Drinan, Jacob enjoyed what Leinster House had to offer. Jacob is a budding filmmaker, often writing, directing, editing and starring in his own works. His latest short – ‘Gaz, By The Way’, a comedy entailing an eccentric slob that plummets into paranoia, has been entered into the Fastnet Film Festival in the under 17s category.